Dayi brand of Pu-erh is renown for its fine and smooth taste. 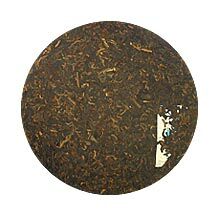 This Blue Label Tea Cake is pressed into a round hard disc shape for easy storing and aging. It serves as an excellent tea to collectors who prefer to age their Pu-erh by themselves and will be an excellent tea in two to three years time.